The main cause of blisters on your hands is a mixture of sweat or moisture inside your glove and friction! 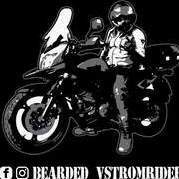 Sometimes you can't really help getting your hands wet, but you can take some preventative measures before you ride to prevent blisters from sweat. Buy some ANTI-PERSPIRANT (extra dry by Arid works great) and before you put your gloves on, spray on the "AP" to both hands liberally and rub your hands together until it soaks in and dries. When your hands feel powdery, it's time to slip on your gloves and hit the trail. For added protection, you can spray the outside of your gloves with Scotch Guard or other brand of water repellant to help ward off splashes from puddles. 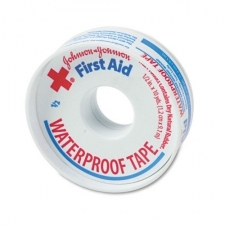 - 1" and 1/2" waterproof adhesive tape (white Johnson & Johnson is good). 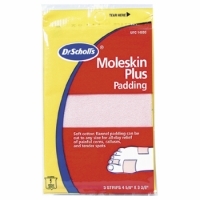 - Package of Dr. Scholls Moleskin Padding. Before you do anything, thoroughly wash your hands so that the tape has maximum adhesion. Trim the Moleskin to the appropriate size to cover the areas where you tend to get blisters. Use the 1/2" tape to secure the Moleskin pads to the areas in question. For the pads of skin right below each finger, the 1/2" tape should start on the Moleskin pad, wrap abound the corresponding finger then back across the same Moleskin pad. When done properly, the two ends of the tape should cross each other (make an "X" as they pass over the Moleskin pad. Repeat for each finger necessary. Now, take the 1" tape and wrap your hand. Open your hand fully and wrap it with 3-4 courses, with each course overlapping the first about 2/3rds. The first course should start just below where your index and pinkey fingers meet the palm of your hand and the final course should end just a little before where your thumb and index finger meet. Lastly, make a fist a few times, note the areas where the tape is too tight and cut a small slit in that area. Most of the time we're talking not more than a 1/2" scissor cut. 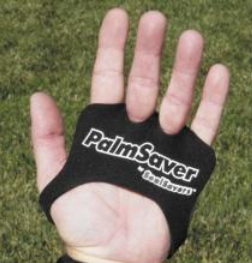 Another option is to pick up set of neoprene PalmSavers. They're sold in pairs, less labor intensive to use (just put them on) and provide more hand coverage.